Basing her work on the complete contradictions, Ellen Carey creates lens-based art in a context of abstraction and minimalism. The usual imagery of the photographs is replaced with imagined, chemically created colors, with the use or light or no light. Mixing the conventional practice with experimental processes, her inventive techniques create colors and its combinations never seen before. 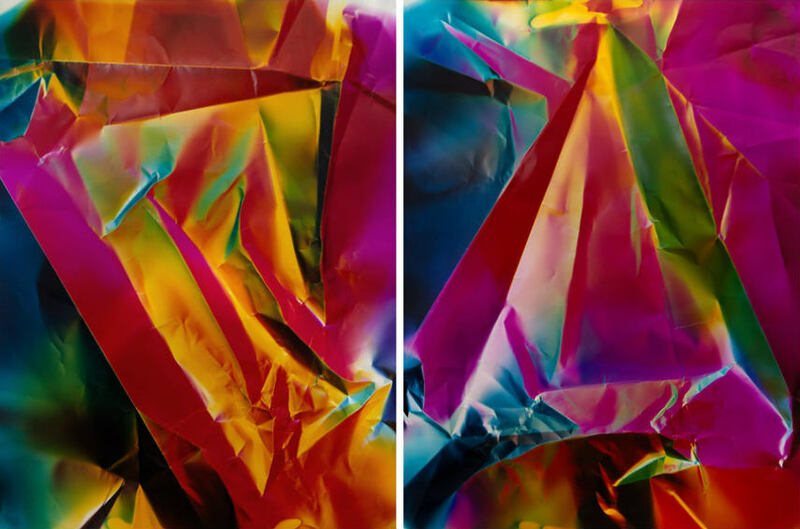 For the past three decades, Carey uses the large format Polaroid 20 x 24 camera that reflects her creative efforts and strivings in expression in artistic medium highly regarded for its technical advances. Unlike the traditional photography where both process and invention are transparent and equally important, in her work the process becomes the subject seen in the final object. Her early work, Painted Self-Portraits (1978), first exhibited at Hallwalls, an alternative art space, launched her into the world of avant-garde. 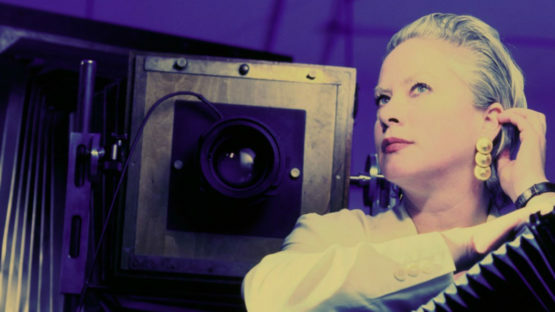 In 1983, The Polaroid Artists Support Program invited her to work in their studio. Carey’s pioneering series The Pull (1996) and Rollback (1997) named her practice Photography Degree Zero (1996-2016). Exploring the minimalistic and abstract images with Polaroid technology with innovative approach of using only light or none, emphasizing zero. Following the same aesthetics, she also creates photograms, photograph works made without camera. 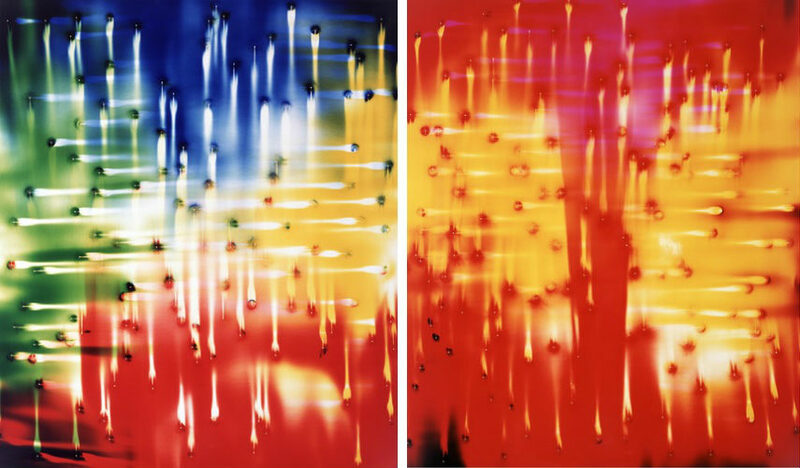 The series Struck by Light (1992-2016) represents her final concept of the less-is-more rule and consist of photograms that makes parallel practice with the Polaroid lens-based Photography Degree Zero. The Photography Degree Zero images have no subject or any reference to a place or object. They are created with camera, in studio, but without the use of darkroom. She remained faithful to her large-format Polaroid 20 x 24 camera that she has used since 1983, and whose new possibilities she discovered thirteen years later. It has been represented in artworks Pulls and Rollbacks. Carey’s visual breakthrough and creative innovation introduces the visual form called parabola as a conical loop, or a hyperbola, the shape seen in the nature, for example, in the frontal curve of a comet. 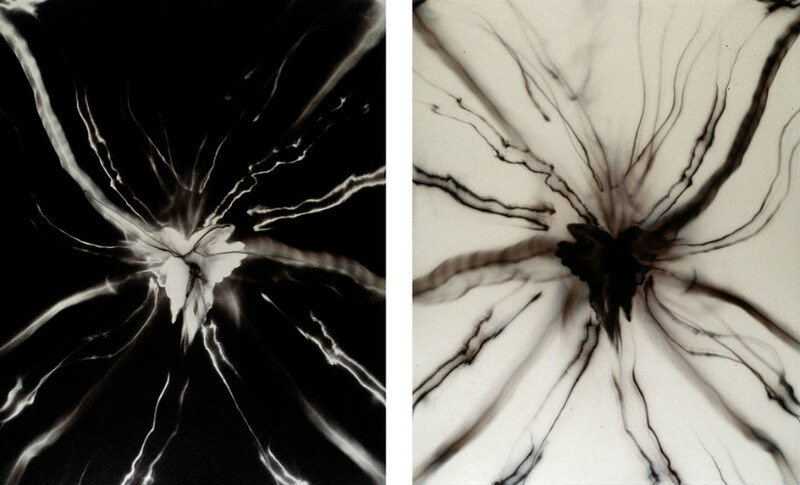 Struck by Light, series of photograms, are not studio-based, but made in a darkroom, with the exclusive use of light upon exposure. Literally and figuratively Struck by Light, these images are the embodiment of her photogram research. Carey started with a reductive palette of black and white, successively adding warm tones and muted color. Using the light in a combination of photographic color theory, she incorporates unconventional objects, metal push pins, glass marbles or photographic grey card, to interrupt the light beam that strikes the paper. All Carey’s photograms in the color darkroom are light-tight, i.e. no light (zero again) allowed except upon exposure; literally blind, without sight, she introduces an aporia to our notions in photography and its camera vision. Creating the work that consist of conceptually connected elements posted through visual characteristics as shadows and shapes seen in the object as negative, Carey considers the formal issues of size and scale conjoined with color palette. The content echoes in her choices of method and material asserting the symbols and signs that give the deeper meaning to her art. Themes on love and loss, seen in her monumental Mourning Wall (2000) and her new project To Paris with Love are captured in the large format Polaroid grey negatives. Monochrome palette of black, white and gray have a conceptual value putting the images into to specific context. Carey’s work has been exhibited in numerous solo and group shows and also is a part of the permanent collections of over twenty museums.